Hello, everyone! 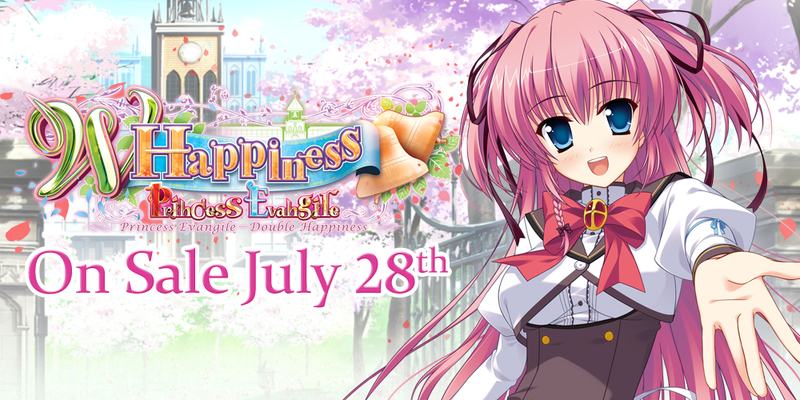 I’m Kaitsu, the editor and image editor for Princess Evangile W Happiness. I don’t know about you guys, but I have been looking forward to this release for a long time now. I hope you’re just as excited as I am! First, if you are reading this post and have no idea what Princess Evangile is about, I strongly urge you to go buy and read the original game! It would be a shame for you to potentially get spoiled and miss out on all the fun the original has to offer. While W Happiness does have the option for you to read the common route from the original game, it only goes so far and primarily exists within the fandisk for help refresh your memory at certain key points, but more on that later! As the term “epilogue” implies, it more or less picks up right where the original left off. There may be some instances of minor time skips, but you won’t miss anything vital to the story. For example, (highlight to read spoilers!) Ayaka’s route starts at the beginning of Golden Week, which typically occurs in late April. As you may (or may not) recall, her route ended in March following her graduation from Vincennes. So you get to see what the couple has been up to now that she’s no longer living on campus. I’ll leave it there for now, so look forward to our next blog post where we discuss the “another” routes! Can’t wait! I’ve been looking forward to this release since it was announced. Chiho is one of my all time favorite heroines and I really want to see the Ruriko and Tamie routes. I got confused, does this contain full original game or only shortened version of it? It contains the comoon route but not the original 4 heroine routes. 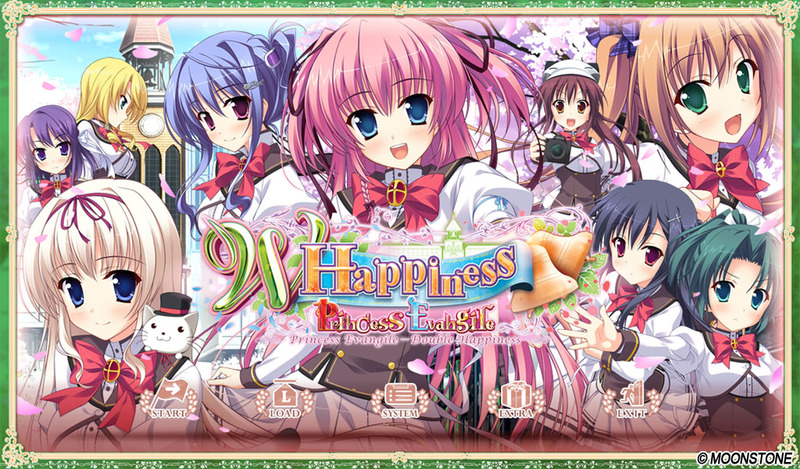 To be specfic, W Happiness has chapters 0-13 of the original Princess Evangile game and that’s the common route. There are 26 chapters (27 if you count 0 as a number) total for each heroine. Any chance for hard copy like original? Same question about dal segno and dc3 🙂 any chance for box? If it’s received well digitally, a physical edition is possible down the line! That applies to all MangaGamer products. I’m really regretting having a mac right now. Couldn’t you guys do what you did with Da Capo 3? If you don’t have any pc beside the mac you can always try to install windows on a virtual machine, visual novels aren’t very demanding games so that might work for you.